2015 seems to be the year for celebrating special dates in the history of our area. Tuesday, Motor Man and I attended a gathering to celebrate the 90th anniversary of the ferry which crosses the James River, connecting Surry County (my “home” county) and historic Jamestown. “Scotland” refers to Scotland Wharf, the dock on the Surry side of the river. It wasn’t until the late 1990’s, when I went to work for a Surry business, S. Wallace Edwards & Sons, which specializes in country cured hams, that I learned the complete history of this ferry. Captain Albert Jester had the idea for the ferry in 1923. 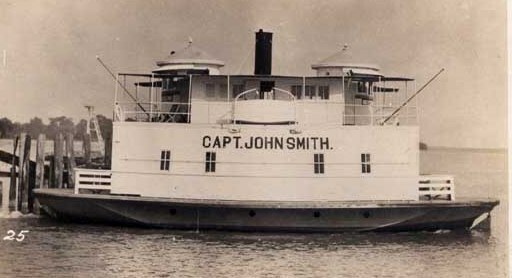 The boat, the Captain John Smith, was built in Battery Park, Virginia, located about 25 miles from Surry. (Battery Park is a tiny waterfront town, practically in sight of where Motor Man and I now live.) The ferry, which could accommodate 16 Model A cars at the time, began operation in 1925. It was the first boat to transport vehicles across the James River. 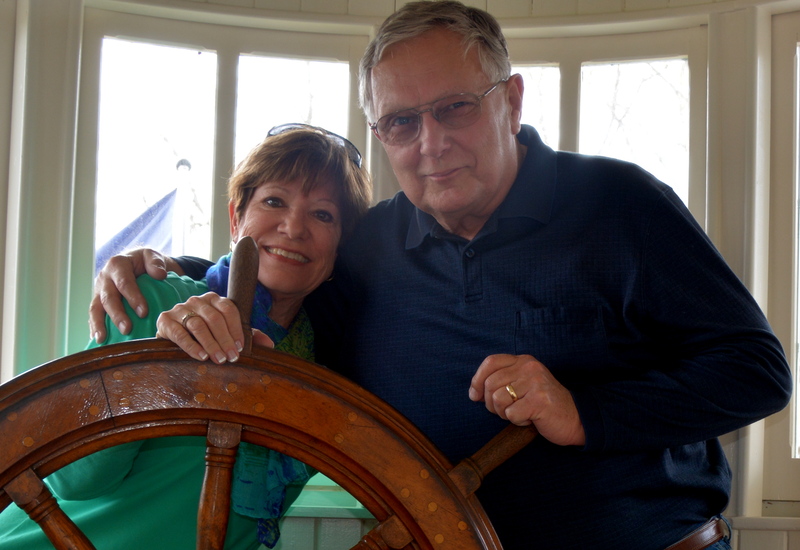 Captain Jester’s son-in-law, S. Wallace Edwards, Sr. worked alongside him on the ferry. Since there were no restaurants where motorists could stop for a meal, Mr. Edwards began selling ham sandwiches to folks traveling on the ferry. The ham was cured by his family on their nearby farm. Demand grew for the ham, and ultimately lead to the creation of Edwards Ham Company. One of my jobs at Edwards’ was to give tours of the plant, and the history of how the ham company came to be – because of the ferry – was included in the information shared with our visitors. Third and fourth generation Edwards family members now operate the company. 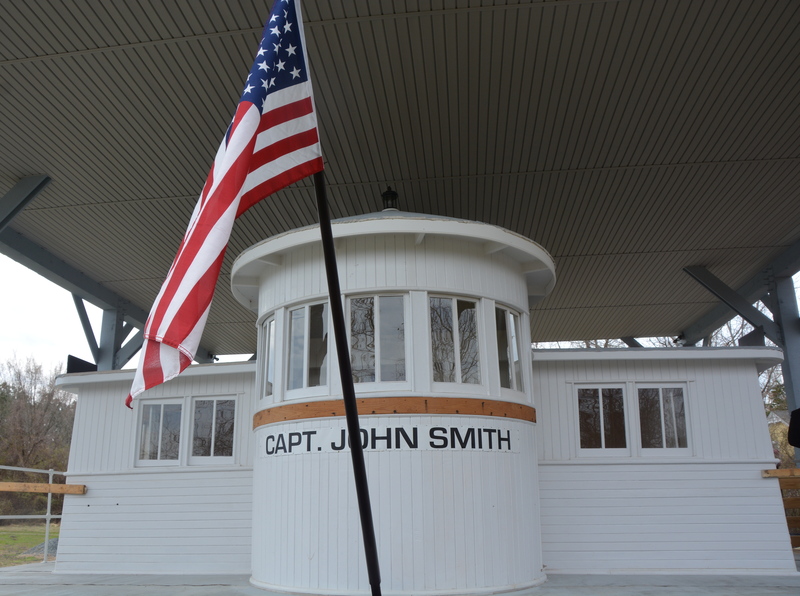 This is the restored Captain John Smith, located on the grounds of the Surry Historical Society. After it was retired as a ferry, the deckhouse was sold. 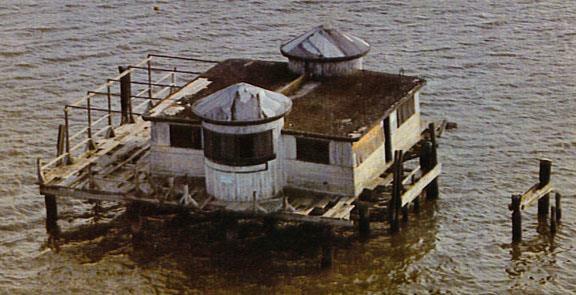 In the 1940’s, it was given new life as a summer house on pilings in the Elizabeth River, another of our southeast Virginia rivers. This photo was taken in the 1980’s. In recent years, the deckhouse was recovered and donated to the Historical Society. Through donations and grants, restoration work began, and is now, nearing completion. 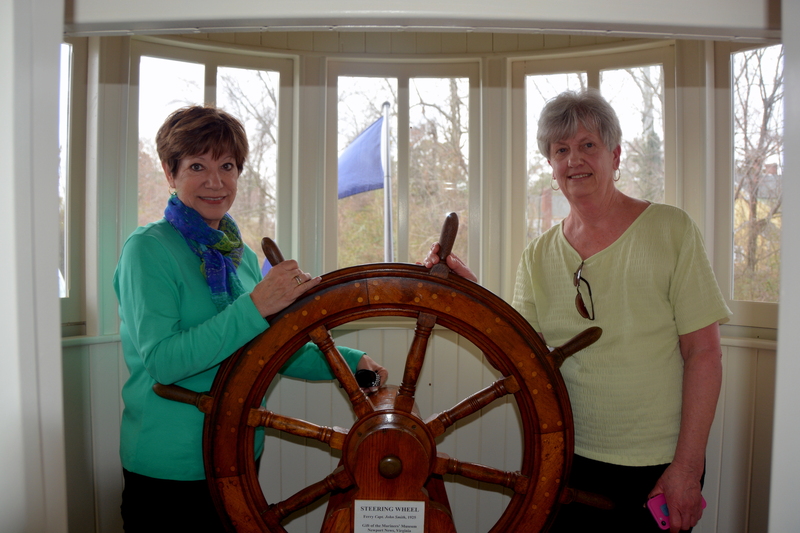 Years ago, the ship’s wheel had been donated to Mariners Museum in Newport News. 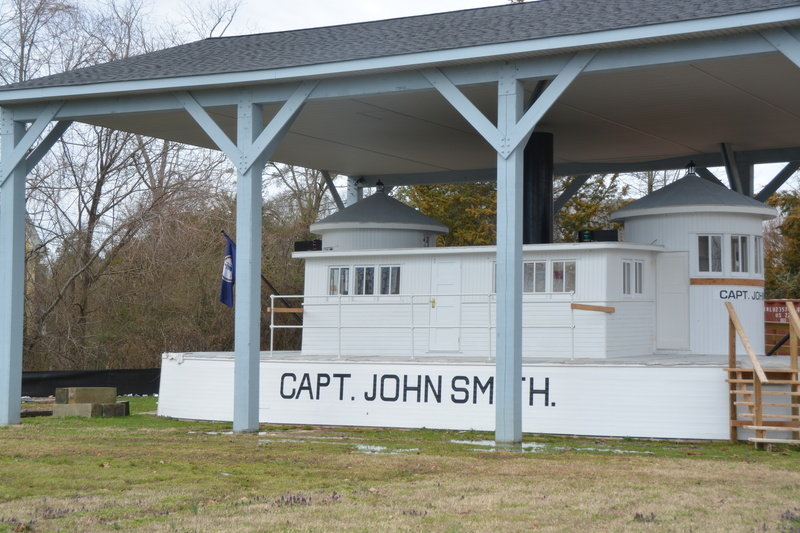 Upon learning that the Captain John Smith was being restored, the museum gifted the wheel to the Surry Historical Society in 2012. My friend, Linda, an Edwards employee, whom I first met while working there, accompanied us to the ceremony on Tuesday. As a Surry County native, ferry traveler and friend (and former employee) of the Edwards family, it’s heartwarming to see the Captain John Smith being restored. I hope she has many visitors at her new location.